After a long weekend , its back to the normal schedule , though everyone was lazy to get up and start the day , an hour of rush for me as usual during Tuesdays and Thursdays when I have to pack lunch for 2 and feed breakfast and make NA ready to school and then rest the whole day....I know I am pampered much as this is nothing for those who work. I admire people who does Job and also keep up with non working homemakers in maintaining home well and disciplined....I don't know how they attain that comfort while multitasking. Need some inspiration to do cleaning and to finish a bit of pending household works today :) so writing it for myself....as I know I'll be reading this a few times. 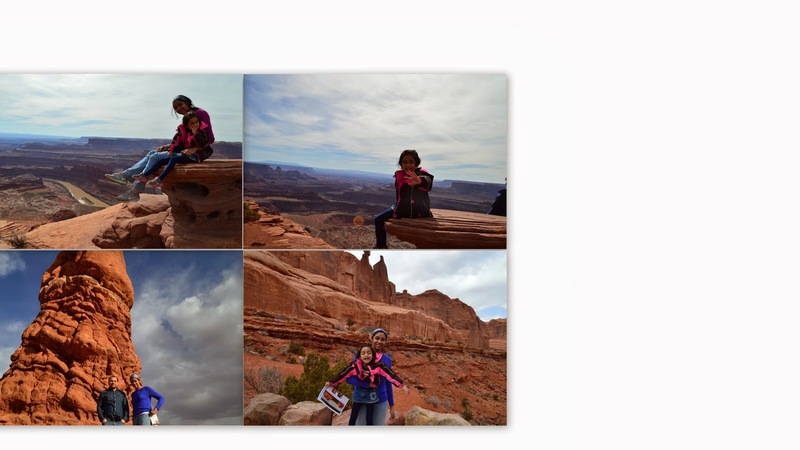 We went for a short trip to Arches National Park ,as Monday was a holiday. Its 3 hour journey from our place. And then back to my world :) Only thing we miss while in a trip is that home cooked food...all of us while on our way back urged for the same. Decided to make this curry , a very much homely dish and also soothing to body. This is a very popular dish in South India , as its a side dish for Rice which is the staple food in our place. * In a pot , add chopped cucumber , slit green chili's and finely chopped ginger , add 1/4 cup water and cook keeping it covered for 10 minutes in medium heat. *Grind the ingredients given under grinding (Coconut , 3/4 tsp mustard seeds and small onions) to make a smooth paste. *Add the paste to the cucumber and keep the heat in low , cook for just a few minutes ( 2 to 3 minutes) and switch off the heat. * Add the beaten curd to it and also salt to taste , mix well and keep aside. *Heat oil in an other pan , pop the mustard seeds (1/4 tsp) , add curry leaves and Red chili's crushed (if using) , saute well and add the seasoning to the Pachadi / Cucumber curry and serve. A beautiful place - the sight of which I'll never forget.